The City of Paris is the most popular tourist destination in the world. It is home to world-famous landmarks, cathedrals and museums. 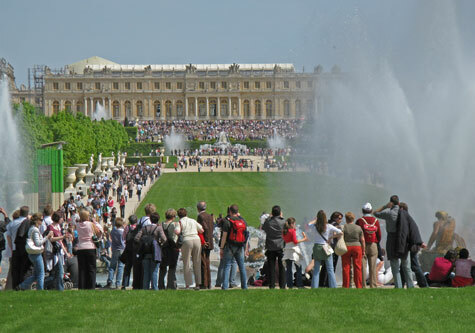 Versailles is home to the stunning Chateau de Versailles. This massive French chateau features massive fountains and formal gardens. The French town of Fontainebleau is located 55 km south of the City of Paris. It features a beautiful palace surrounded by huge recreational forest. Excellent hotels can be found in downtown Paris, Fontainebleau, Versailles and throughout the Ile-de-France region (i.e. Paris Metropolitan Region). The Ile-de-France region is served by an integrated network of buses, metros, RER commuter trains, 6 large train station and 3 airports.